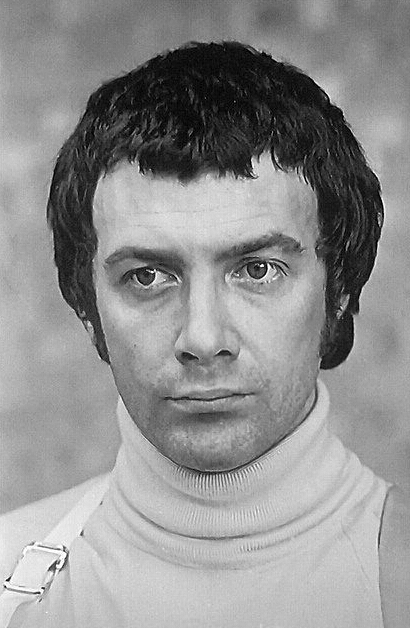 #299....."LEWIS COLLINS" - BODIE 3.7 . you'll never walk alone ! This is a really lovely photo of Lewis and shows up his beautiful eyes. Thank you. Thankyou, i agree it is a beautiful image of him and another one that i adore so much. He looks so melancholy here. It's the expression I imagine when I read all those unrequited Bodie fics. i think this image has a two way feel about it, the glimpse of the shoulder holster but yet he looks calm and relaxed and i agree the black and white only enhances the image. Oh that face! His eyes really star, in this portrait, don't they! mmmm yes they do, i love the black and white of this image but would love also to see it in colour. Thankyou so much and yes i agree he looks adorable here and even though i love the black and white image it would be nice to see it in colour too. bless him...i know what you mean ,it looks so tempting, enough to slide your fingers through it...,sorry where was i...thanks for looking and commenting. That's such a serious look, very intense.